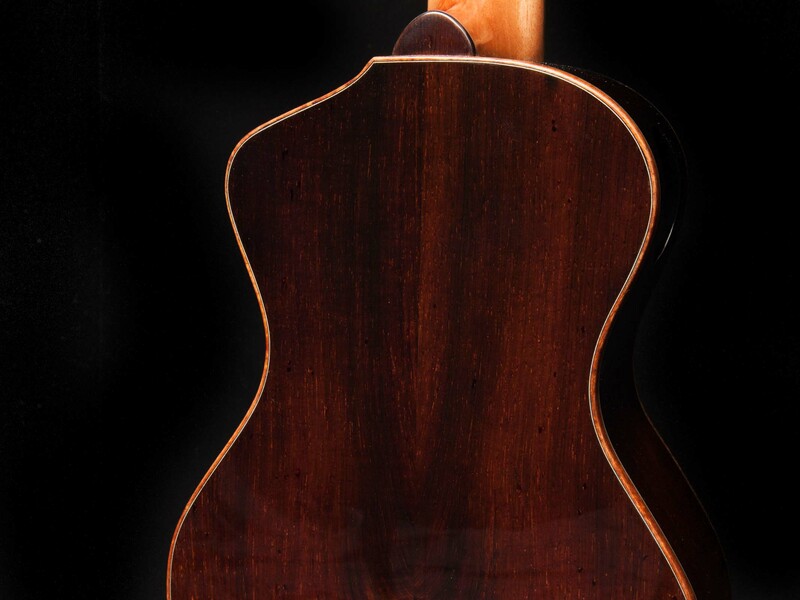 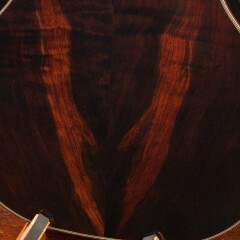 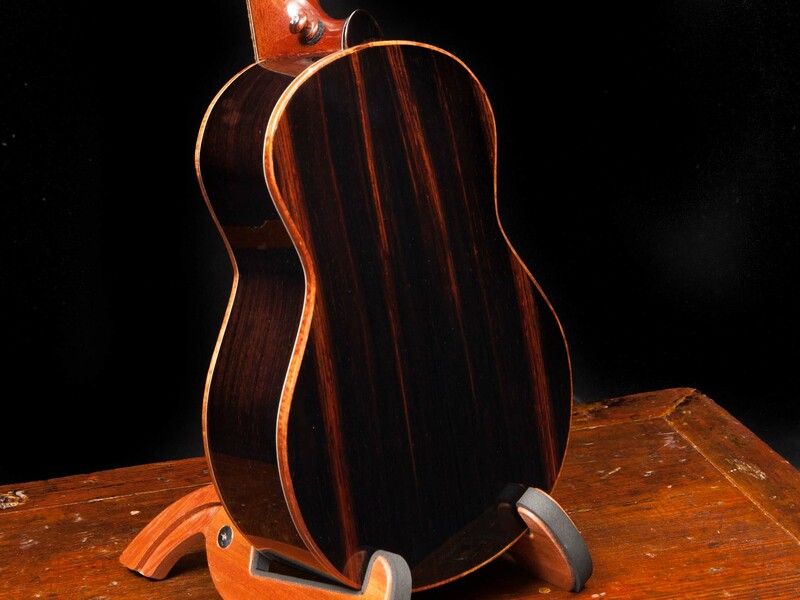 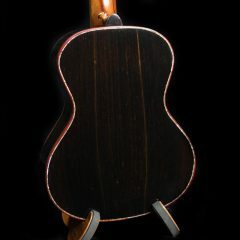 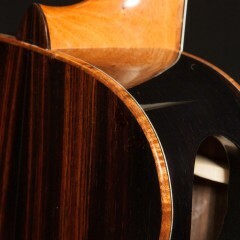 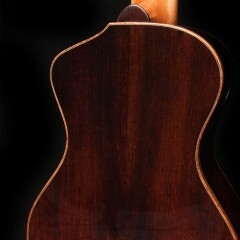 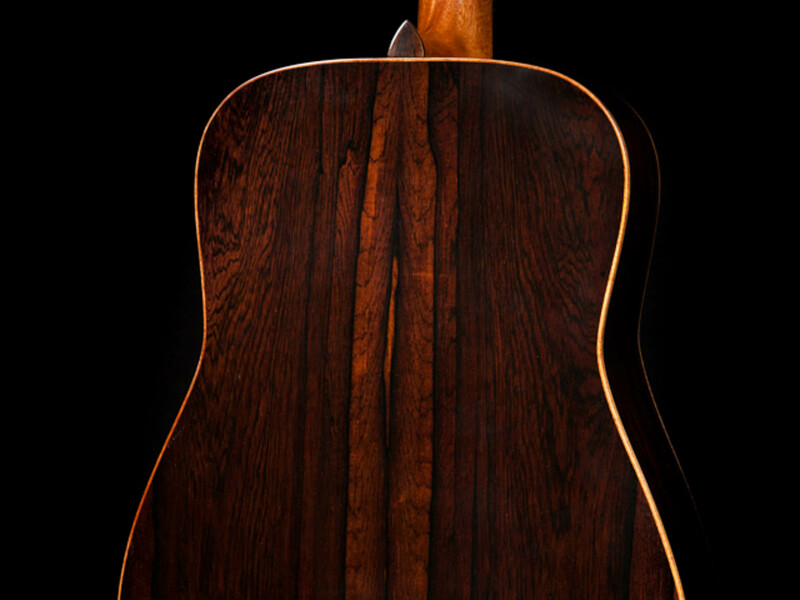 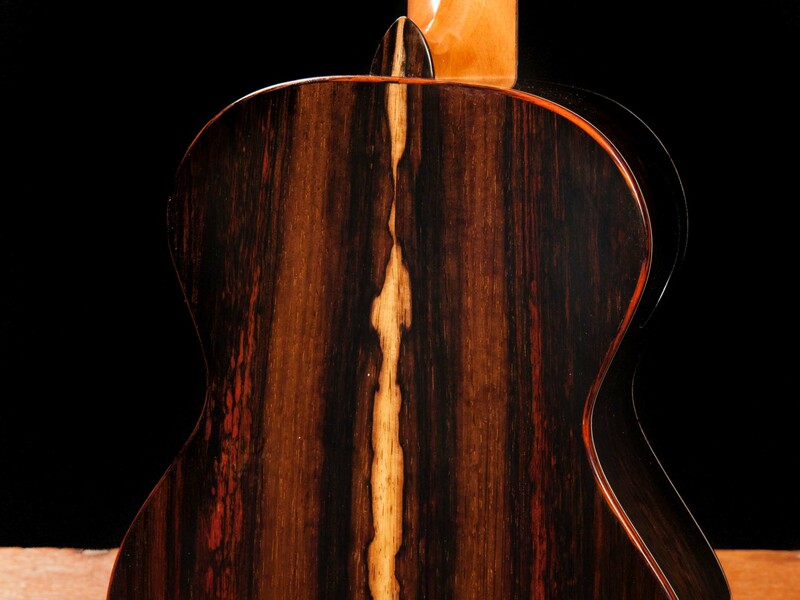 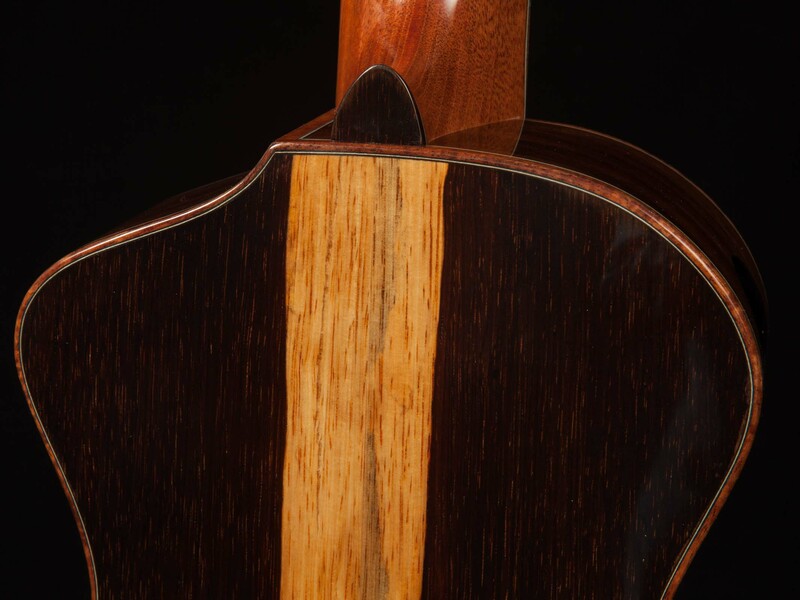 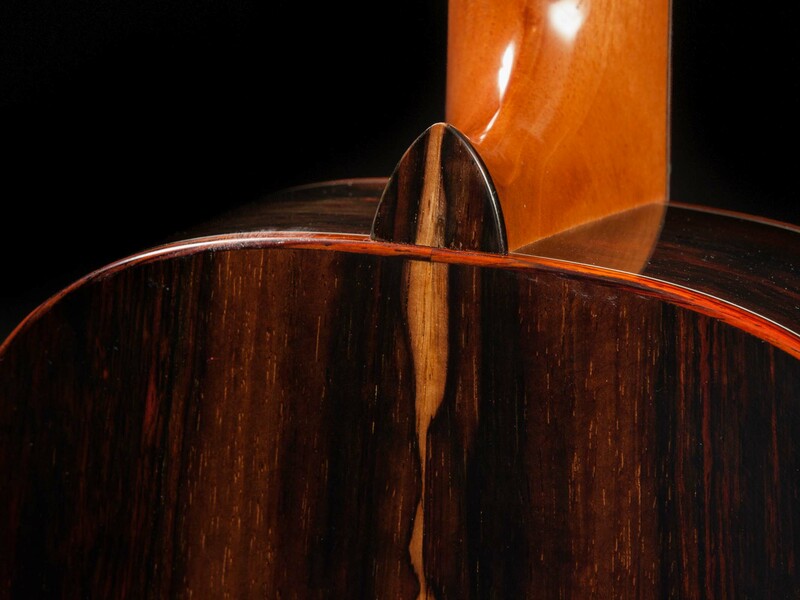 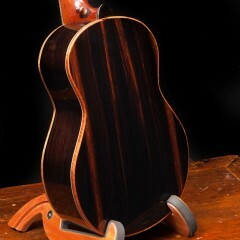 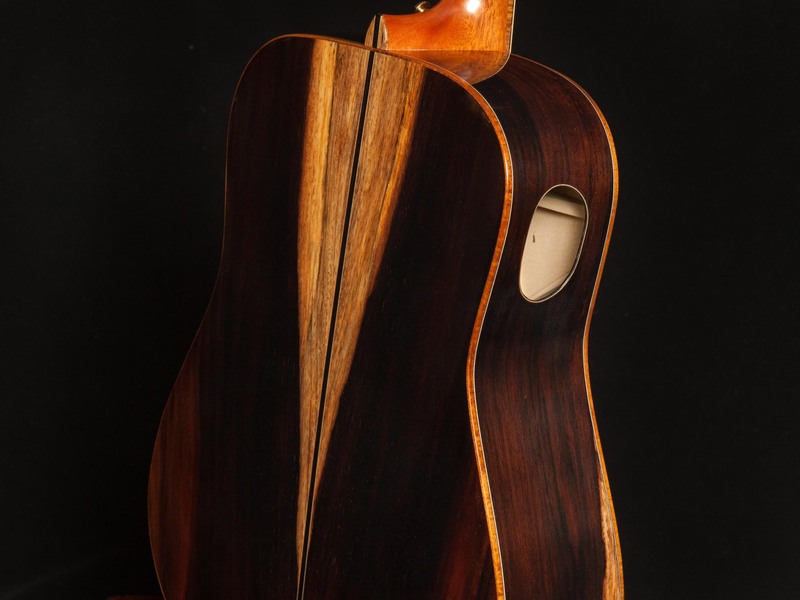 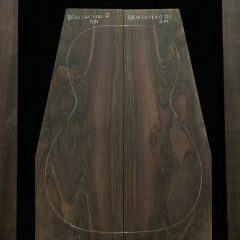 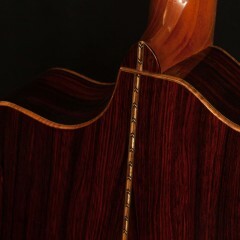 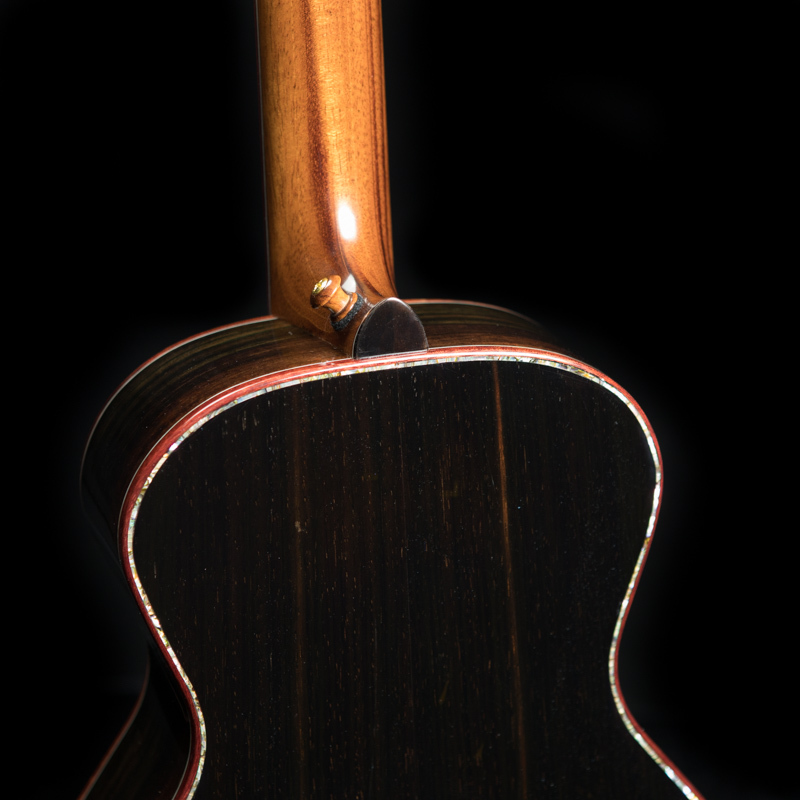 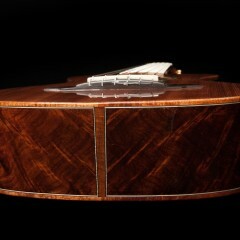 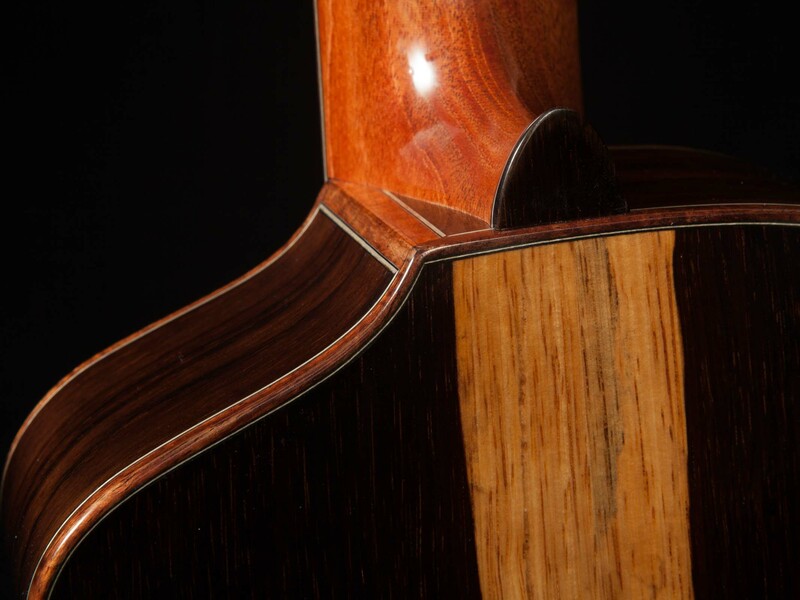 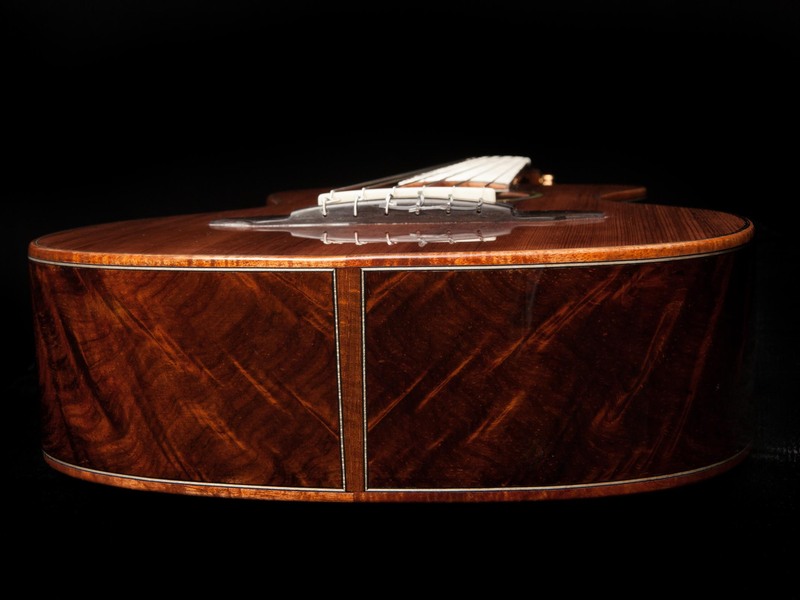 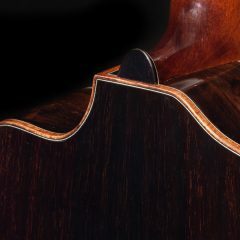 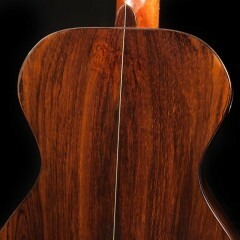 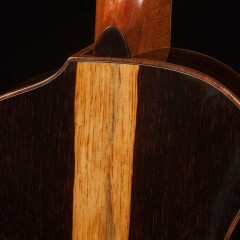 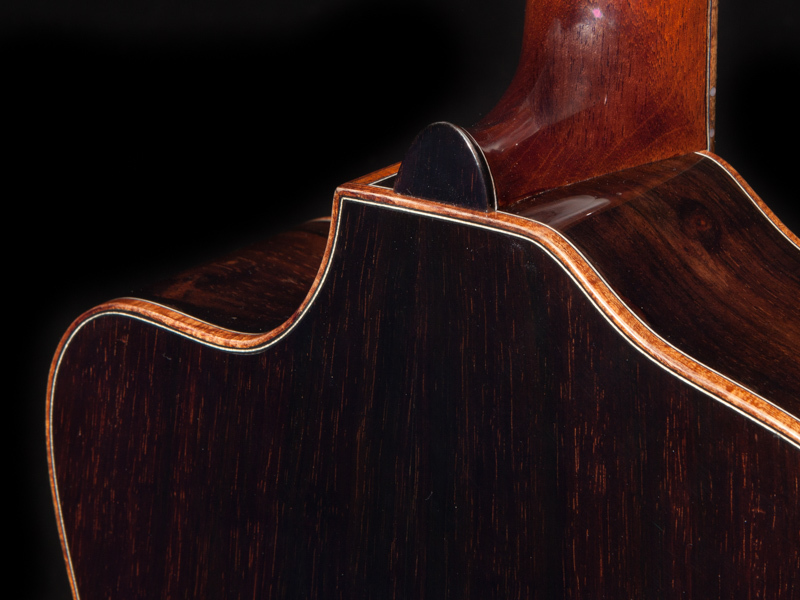 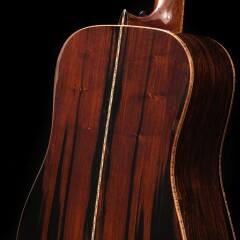 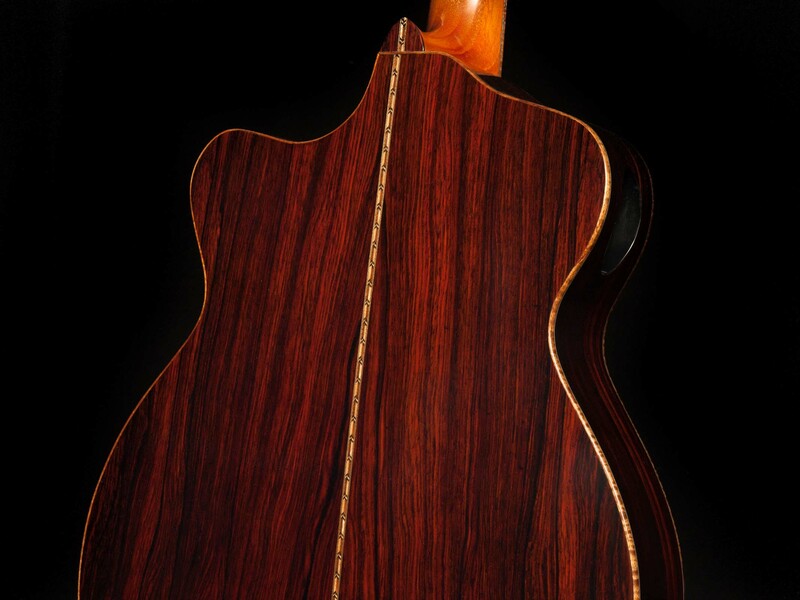 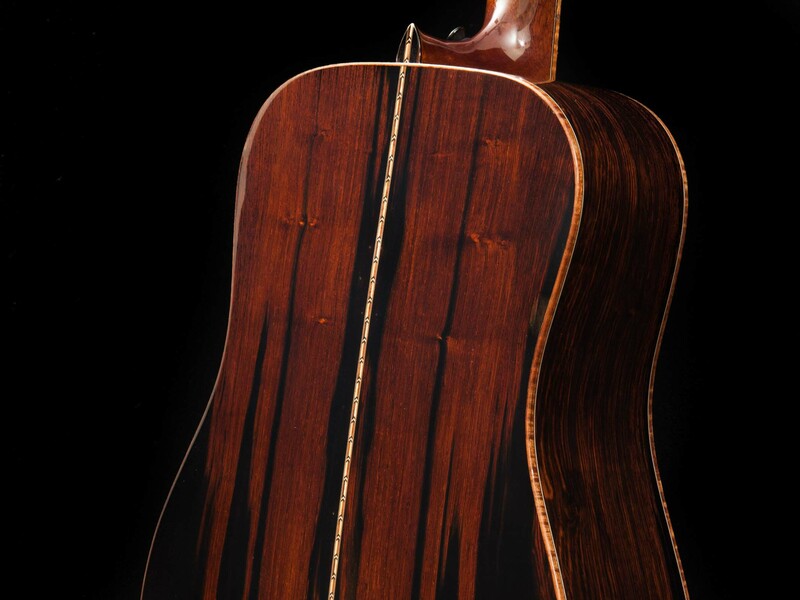 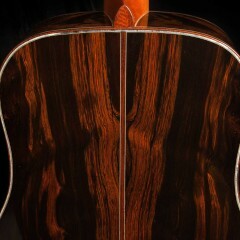 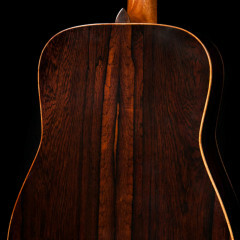 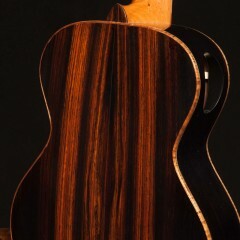 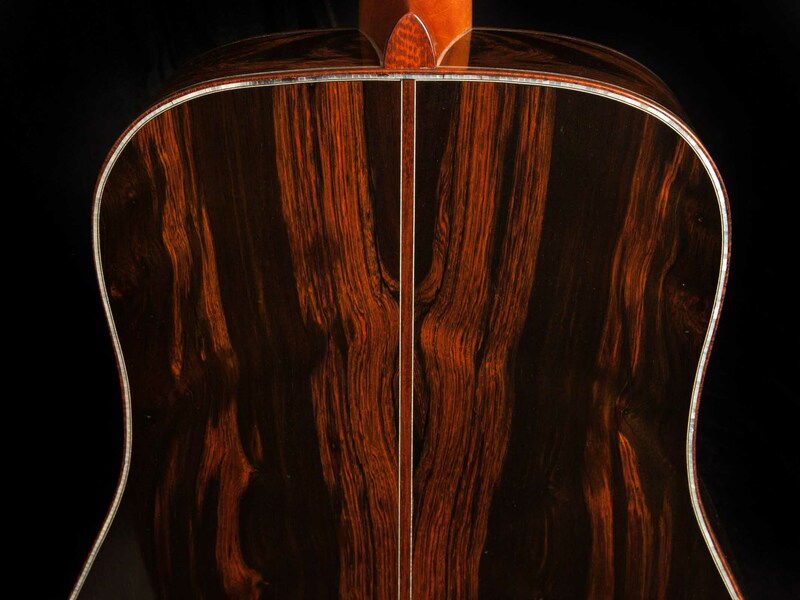 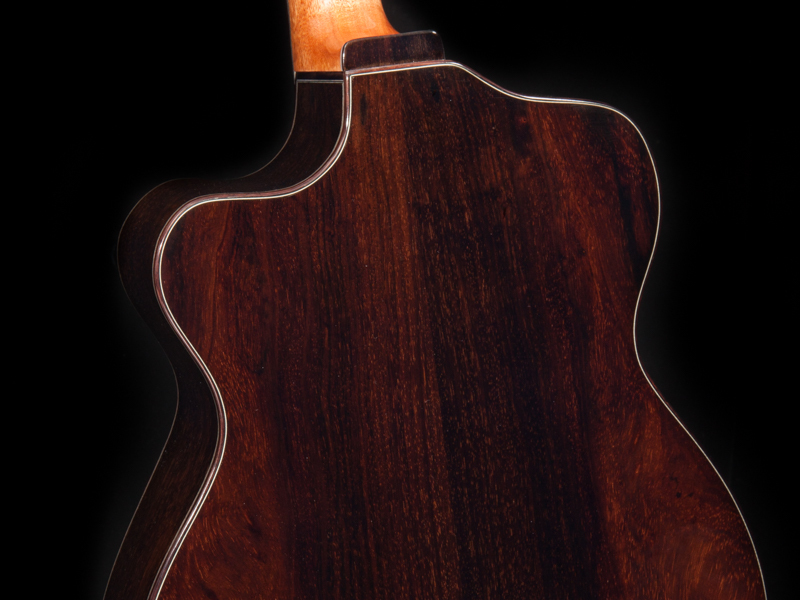 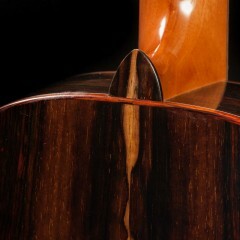 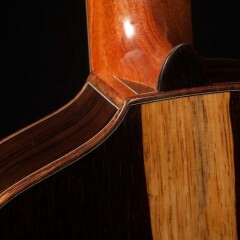 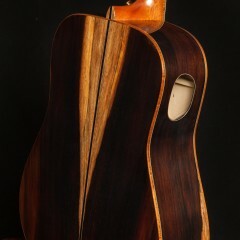 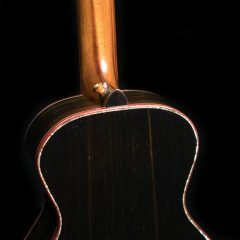 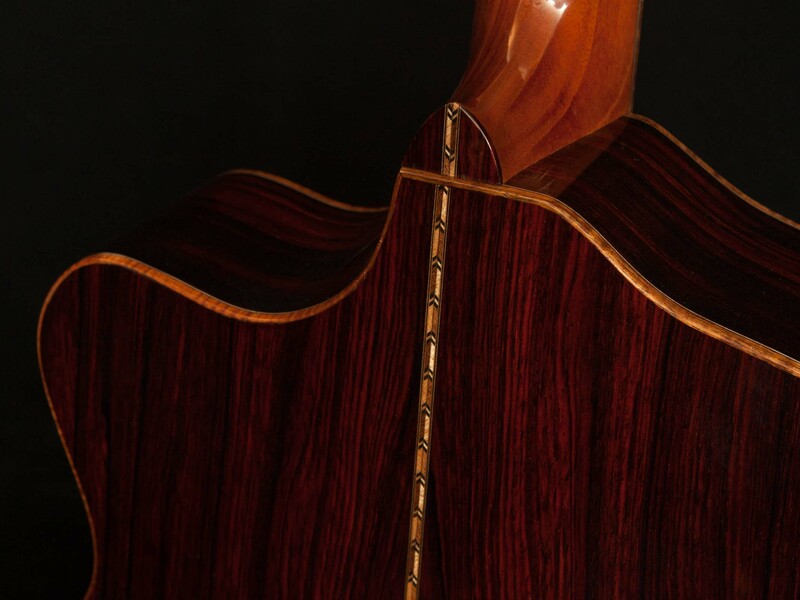 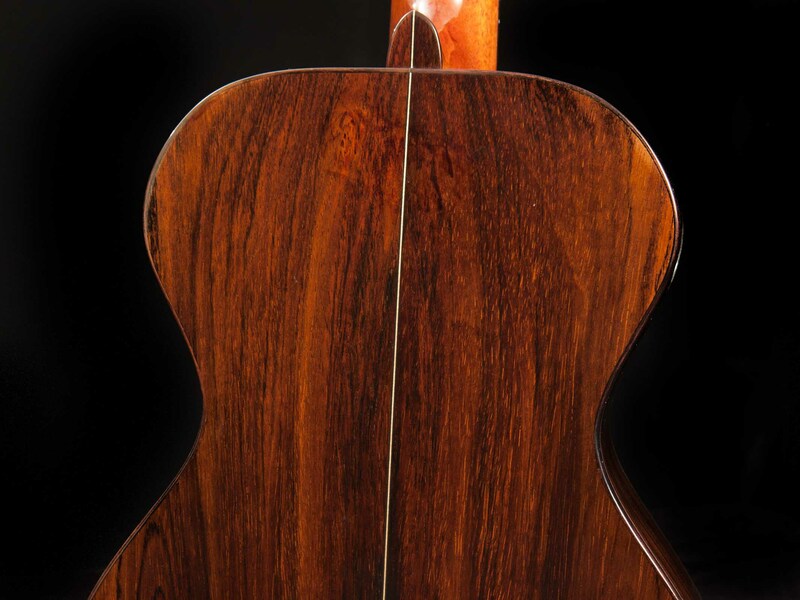 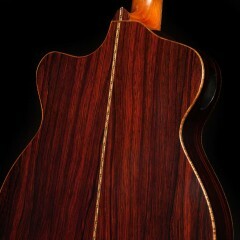 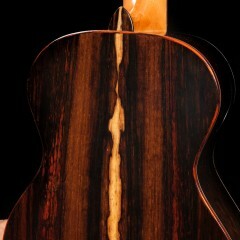 Brazilian Rosewood has long been considered the premier guitar tonewood by both luthiers and guitar players. 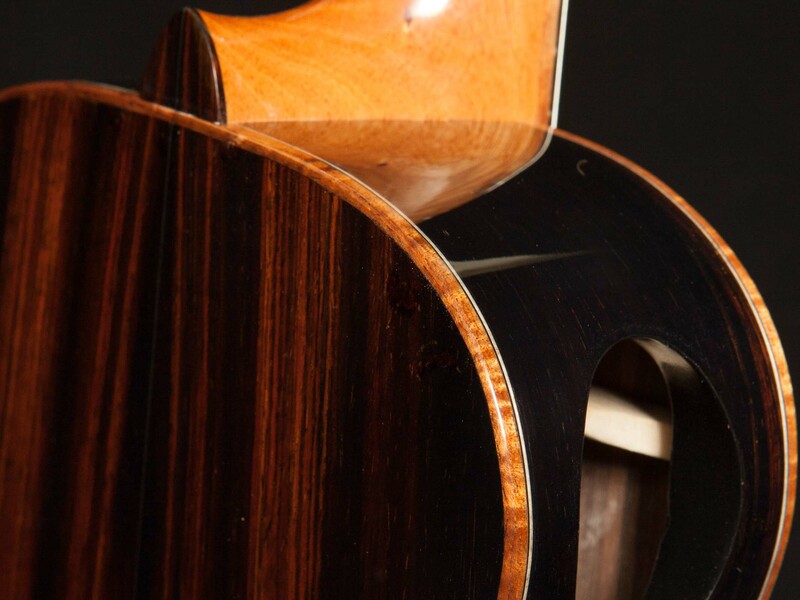 There is no denying that it satisfies every time. 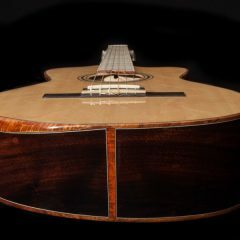 Tonally Lichty Brazilian Rosewood guitars express the entire range with deep rich basses, clear bell-like trebles and a symphony of sounds in between. 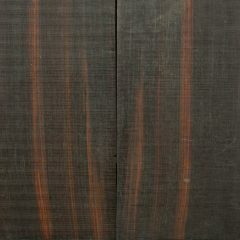 The colors of wood can be anything from jet black to dark with shades of rust orange or purple hues or deep browns. 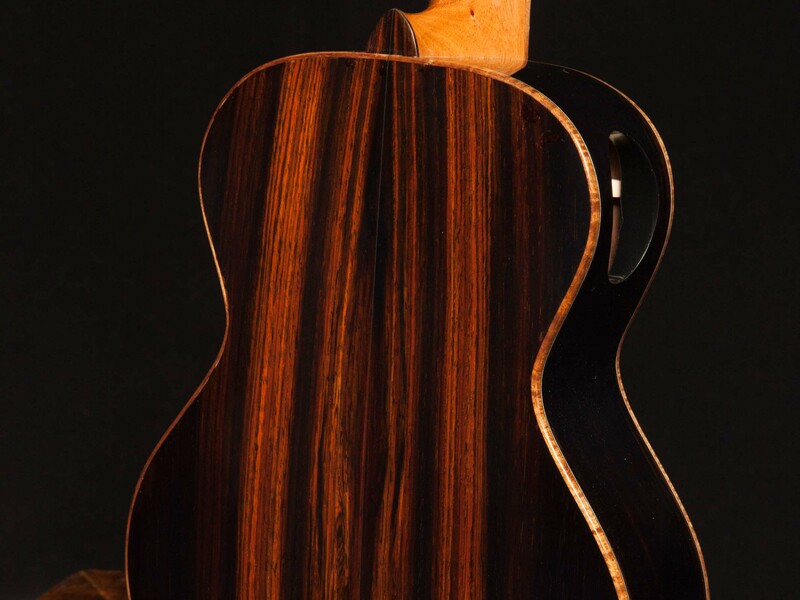 While we currently have an enviable supply of Brazilian Rosewood, we are not actively purchasing additional sets given its protected species status. 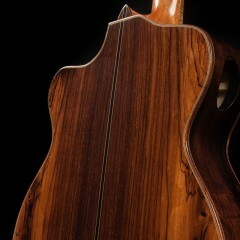 What we do have on hand is typically old growth, salvaged and CITES Certified wood. 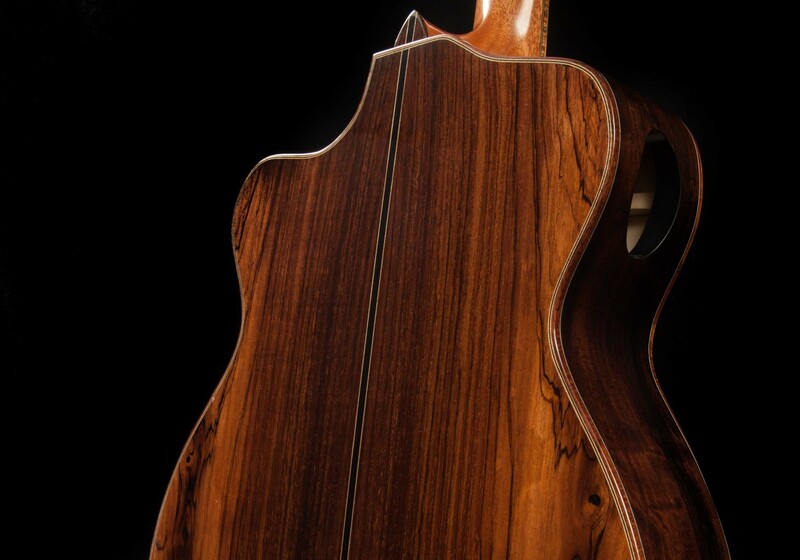 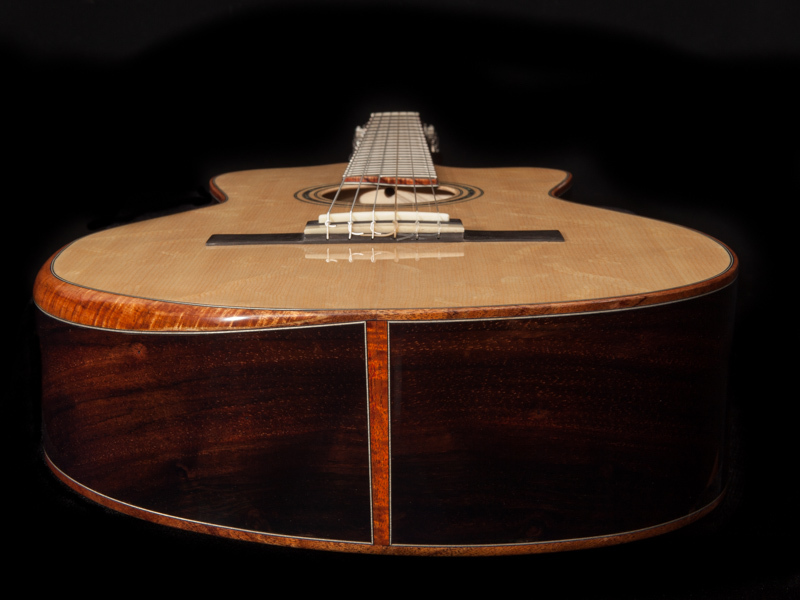 Please Note: Our woods are carefully selected for our custom instrument projects and we do not sell our tonewoods. 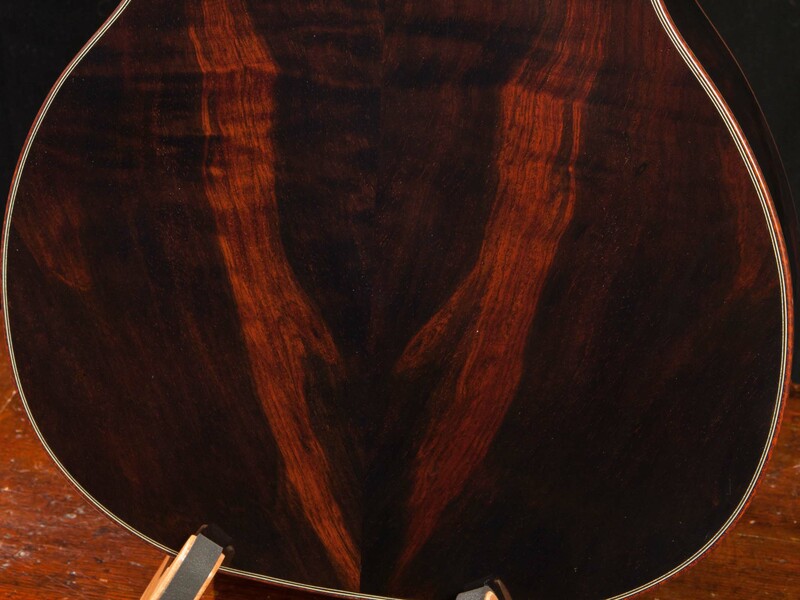 If you are a touring musician or just love to travel with your guitar we want you to be aware that traveling internationally with a Brazilian Rosewood instrument is very challenging and requires mountains of paperwork, which we do not provide at this time. 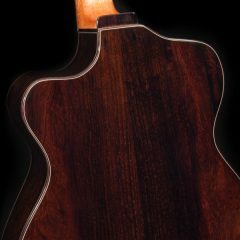 As a result, we do not ship Lichty guitars or ukuleles internationally and do not advise traveling with them internationally.